We got to Cenarius! Also, unattempted photobomb by Ru. My goals for September, I felt, were pretty manageable. I tried, and got close! Okay, so maybe some of my goals were a bit lofty with everything going on in real life. I did get Protobucks in WildStar..,. but then I spent them on the Corgi and Fox Hoverboard combo-pack instead of Service Tokens. I mean, how can you pass up a baby Corgi named Leeloo?! Because I didn't get Service Tokens, I didn't re-rune my DPS set, so the new pieces are still sitting in my bag, waiting to be runed. I didn't even purchase my tank set, let alone re-rune it, which is something I'm going to need to do soon, as we've hit the roster boss with school back in session, and I've been playing OT more to help out in GA.
My goal today is to finish the podcast and get it over to Avid. Woops! And I'll get to Yardcore when I get to Yardcore. I think I'll leave it as a running item until it's done. 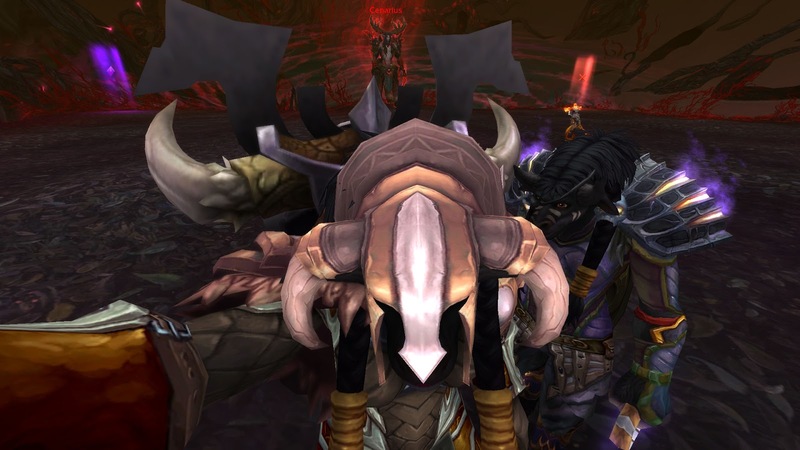 I've been trying to catch up in WoW doing various things, but I've mainly been pulled into chain-running Mythics with guildies, so a lot of the goals I had have been sitting by the wayside. I've been trying to level fishing mainly to get the Artifact fishing pole for the water walking and the fish form to get around easier, since I don't (yet) have a water strider. There's so much I want to do in WoW to catch up to where I need/want to be for raid, and then so much other stuff that I just want to finish, that it's almost a bit overwhelming. I do plan to run at least one Mythic+2 (maybe we'll try the +3?) 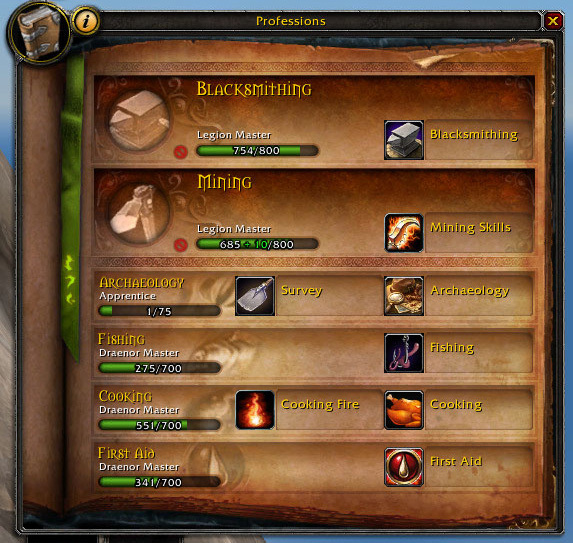 today, but I'd really like to just work on professions in between the massive amount of chores, and working on Wildcast. And this coming week I'd really just like to go farm achievements in Pandaria for mounts. I might see if Feyd wants to come along for mount collecting, too, since he dragged me through a few places to try to get drops earlier this week. As for my otomes... I've played a little bit more of Asagiri's route, and I'm enjoying it, but I'm having a hell of a time trying to get into Norn9. I think I just chose a bad combination of protag (there's three to choose from) and the love interest (the one I wanted is not unlocked, because I need to finish the other two associated with the protag first...). So I'm going to buy Sweet Fuse since it's been on my list to buy, it's fairly cheap, and Rissa has been trying to get me to play it since they found out I liked otomes and I have a Vita. Overall, though, not too bad with everything going on irl.